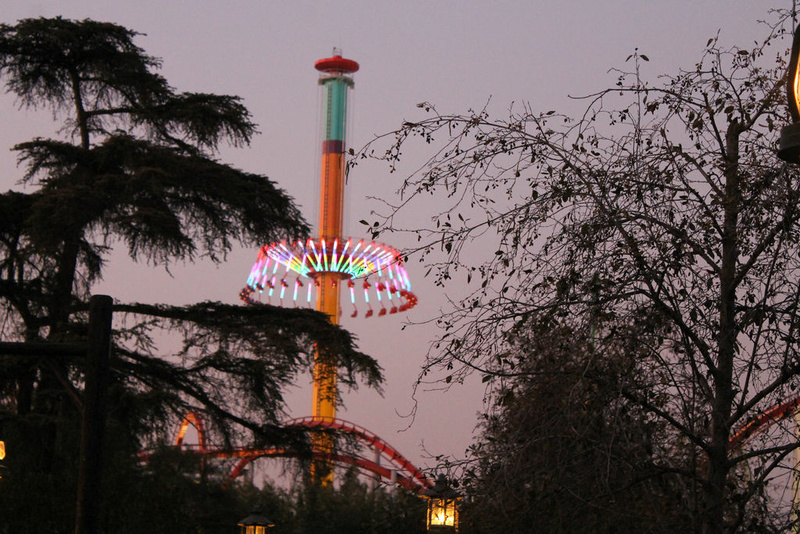 The Windseeker attraction at Southern California's Knott's Berry Farm. At least 20 riders were left dangling 300 feet over the amusement park last September after the attraction malfunctioned. A ride that stranded people 300 feet high twice last year will be moving from Knott's Berry Farm to a sister amusement park in Missouri next year. Park officials said the Windseeker ride will be relocated to Worlds of Fun in Kansas City in January, according to the Orange County Register. The two parks are owned by the same company. Leidy Arevalo, a spokeswoman for Knott's Berry Farm, says it's not uncommon for parks to share rides. "It's to ensure that we are exceeding our guests' expectations," she said. The Windseeker takes people 300 feet in the air and twirls them at up to a 45-degree angle for about 60 seconds. It malfunctioned twice last year, most dramatically in September when a frozen brake left 20 riders stranded for several hours until they could be safely brought down. No one was injured. Arevalo wouldn't confirm any claims that the ride is being relocated because of the prior troubles. The ride has remained closed and other Windseeker rides at five other parks also were voluntarily shut down. The new name for the Windseeker at its new home will be the Steelhawk. Knott's Berry officials have not said whether a new ride will replace the Windseeker in Buena Park. What does a defunct amusement park sound like?